The King stepped in dog sh*t today. Not figuratively. Literally. And anyone that has OCD tendencies as I do knows where the rest of this blog is going - and feels my pain. Yes, I’m disturbed. No, more than disturbed, I’m on a mission to rid the world of lazy delinquents that don’t clean up after their dogs. I shall not blame the animals as they are simply being animals, but as for their incompetent owners, well, that’s another story. Trust me, the fact that this happened nearly sent me into a cleaning tailspin; I did for a minute think of throwing away the King's shoes, or at least putting the house on lockdown as I set fire to everything that came into contact with them. Yes, I’m an extremist when it comes to cleaning, but seriously, piles of dogsh*t on the pavement is an urban epidemic that has to be stopped. For those of you out there thinking what is the big deal, I shall break it down for you nice and slow…cause clearly something in your brain is not firing at top speed. It is excrement. 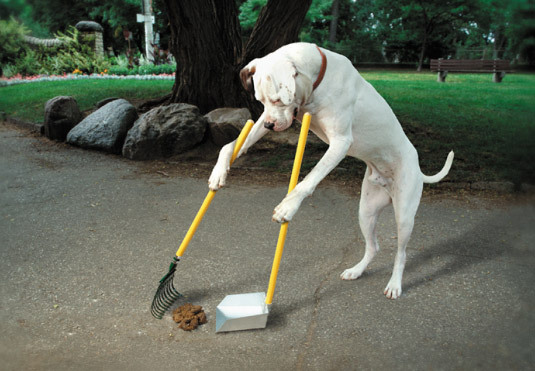 That’s right, dog sh*t = dirty, germ ridden, disease-carrying waste. Sorry for those of you out there eating your breakfast whilst reading this, but when I’m 'disturbed', it’s hard to contain my annoyance. The fact that some individuals out there think it is okay to just leave their dog’s internal waste on the street for all the world to smell, see and step in is beyond me. Yes, I realize they are driven by sheer laziness and irresponsibility, coupled with the fact that they probably don’t want to touch it anymore than anyone else does; but let me spell it out for you (again, nice and slowly), it is YOUR dog. Not mine. So pick it up. Can you imagine if everyone just went about doing their business wherever they saw fit? Come to think of it, changing the King’s diaper is a real drag after doing it for 15 months on an daily basis. From now on, maybe I’ll just let him run around in the park without his diaper on and let him relieve himself wherever he feels like it. 'No no sweetheart, do it right in the middle of the sidewalk; it's so much more amusing that way.' Cause my son leaving his little deposits everywhere is pretty much the same darn thing. As I see it, waste is waste. It doesn’t smell like rose petals and if you even think of using the compost excuse we’re going to have words (unless of course your dog is going directly on top of the compost heap, and even then I may take issue with it).